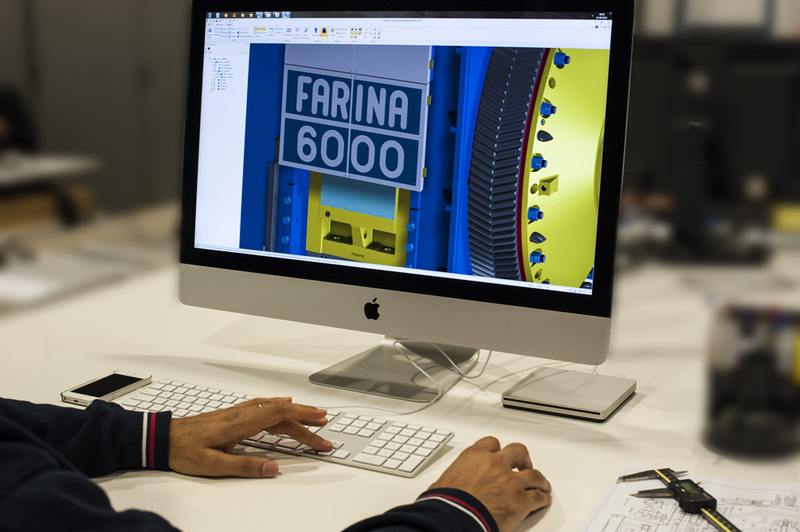 Farina Presse fully designs all product mechanics and electronics. The Engineering department is divided into two divisions, the first for mechanical design and the second for electronic design (software). The two divisions actively contribute to all projects in the large open space that houses the engineering department. Design aims to continuously improve technical performance with the utmost attention to current user safety and environmental protection regulations. All engineering personnel actively observes community regulations and directives applicable to our products and actively participate in the activities required to meet the quality, environmental and safety regulations set by the company. The engineering department fully produces the technical documentation dedicated to each supply according to the machinery directive and current regulations in the installation site.